First time in 30 years, a 33rpm 180gm Vinyl Newly remastered by Bernie Grundman on his all-tube cutting system. 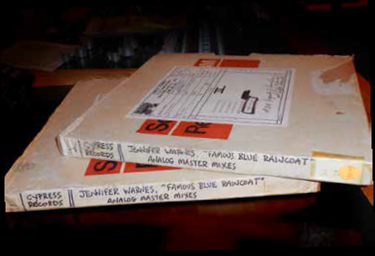 Famous Blue Raincoat: Twentieth Anniversary Edition has been re-mastered by Bernie Grundman from Jennifer's own analog master tapes. All-Analog Remastering by Bernie Grundman and authorized by Jennifer Warnes herself! No true audiophile's collection is complete without this album! In 1987 Jennifer Warnes and Roscoe Beck created an enduring interpretation of some of Leonard Cohen’s finest mid-period songs. The resulting album Famous Blue Raincoat has remained a touchstone of American pop. It’s a recording as beautiful as the songs incisive, painstakingly created by some of the finest musicians and engineers ever assembled. It has rightfully remained immensely popular for afficianados of sound and song-craft. 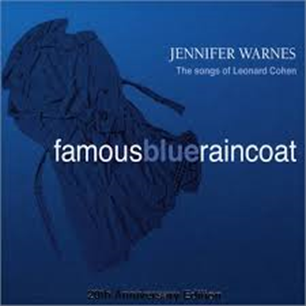 Impex Records has enjoyed a long and rich collaboration with Jennifer Warnes. Now we are proud to release, for the first time in over 30 years, an exclusive 33-rpm all-analog vinyl LP of her groundbreaking classic. Newly remastered by Bernie Grundman on his all-tube cutting system and personally supervised by Ms. Warnes, Famous Blue Raincoat is ready to be discovered by a new generation of vinyl enthusiasts seeking the purest musical alchemy, and vocal interpretation. Come see how far we’ll go for beauty.